Who makes time in prison? And how do they make it? 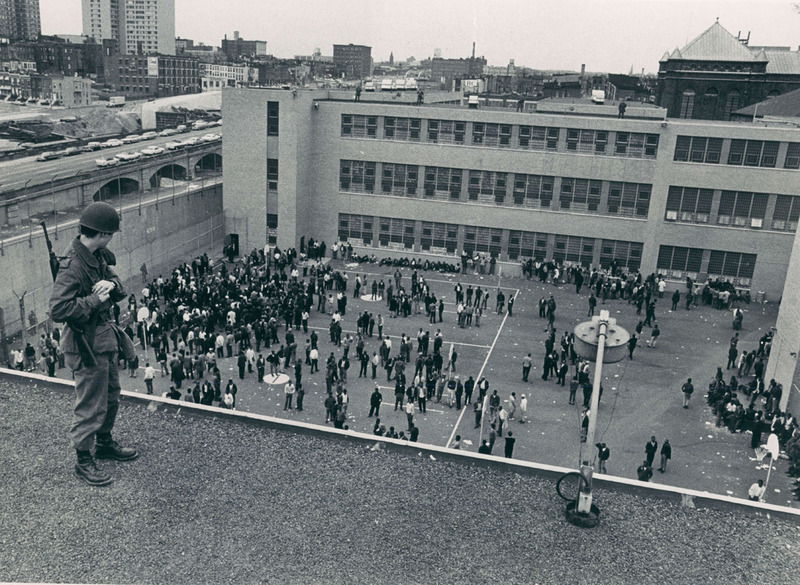 In this article, Religion and Incarceration co-founders Laura McTighe and Hakim ‘Ali speak about Islam and black prison organizing in 1970s Baltimore in anticipation of the NYU event, “Making Time: Discipline and Religion in America’s Prisons” on April 10, 2015. More information about this roundtable conversation can be found here. It is shortly after the Fajr morning prayers and snow is falling as big as fists. Hakim’s deep laughter punctuates the steady chug of the steam radiator in the corner, as he launches into another tale of a Philadelphia long since passed. I smile in knowing recognition. Hakim has an unparalleled gift for storytelling. We have been talking for almost an hour. Hakim and I met in Philadelphia more than a decade ago. Our connection was one of intention as much as coincidence: in 1978 – the year I was born – he had been transferred to the federal prison in Lewisburg, PA – the town I lived in as a teenager. Over the years, we have built a relationship of closeness and reciprocity, as beloved friends and comrades. Through our work together, I have come to know Hakim as a poet, an educator, a revolutionary, a father, and a confidant. He rarely talks about how he survived the hell of the local, state and federal prisons that held him captive, and I know better than to ask. Those silences in his life story have been built up because of too many small abuses to count, because of great and incomprehensible ones. 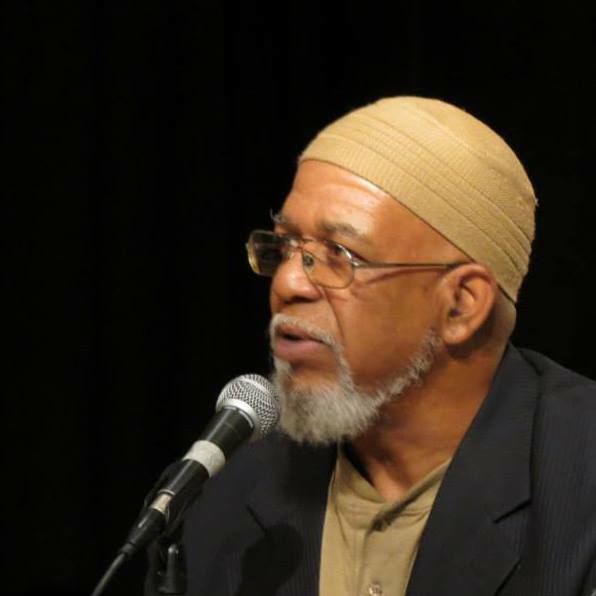 But this morning, under the guise of “making time,” with the snow showing no sign of relenting, Hakim began to speak about his conversion to Sunni Islam, his work with the Revolutionary Action Movement, and the Baltimore bank robbery that catapulted him into the caverns of justice in America. The year was 1972. The date was February 23rd. When we got popped, the Baltimore cops told us the folks in Philly were calling a citywide holiday. The “Philly 5” they called us in Baltimore. Of the five, three of us were Sunni Muslim and one of us was Nation of Islam. And the other one, because of his association with us, was sympathetic to Islam, even though he wasn’t Muslim. So Islam was our point of unity as we were doing what we were doing, existing before the trial, and even during the course of the trial in the way that we were referred to, you know. So one day while we were in the city jail, we were in the yard – something had just happened, a dude had tried to escape earlier – and they had everybody out of the buildings and we were in the yard, with the police around us. I saw this brother walking down the yard, and he had this paper rolled up in his back pocket. And I saw different parts of words – something about Islam, and the some parts of the Arabic… So I approached him, and asked him, “You mind if I look at that?” and he said, “Man, you can have it.” And he gave me the paper. So I opened up the paper, I was reading it, and it was in fact a newsletter coming from this masjid in West Baltimore. It had an address and contact information, so I got together with the other brothers and showed them the paper and we decided to see if we could get some materials sent in for us to read. Just to be clear: Sunni Islam was not in Maryland. Anything related to Islam was the Nation of Islam, or this little small group of dudes who were Five Percenters. At the start, we didn’t have intentions of establishing anything in the jail. We were just seeing if we could get some materials, something to read, or a contact. But eventually this effort on our part led to us establishing traditional, orthodox Sunni Islam in the Maryland system. First, we started with the city jail, where we were awaiting trial. Eventually we got somebody to come out. The first visit was a personal visit – the Imam, Ali Akbar, came out and met with one of the people in our group. Then Ali came back again, and we created an opportunity for him to meet not only with ourselves but also with a couple of other brothers that we found out were there and were Sunni Muslim. They had been existing under the radar, you know what I mean? Because the Baltimore jail is transitional, and folks were focusing on their case. So we got to the point – and I’m really, really, really summarizing this – that we were able to get this brother Ali from the masjid to come in and meet with the Superintendent of Baltimore city jail and we literally got jummah started there. It was the first time that the dude had heard about jummah, it was the first time that Muslims from the community had even entertained the thought of coming into the city jail. And from that, later on down the line, a position was created where Ali got appointed as the community Imam – the representative of Islam for the Baltimore jail. That was sort of our first political/religious statement, with all the other stuff we were doing prior to coming to Baltimore and getting locked up. We believed that we were in the course of revolutionary action, taking from the government, supporting the people… It was the same sort of concept as what the Black Panther Party was doing, but we had not been building institutions. We mostly just focused on meeting the community’s immediate needs – helping folks with rent, paying their bills, getting food… So this was the first real thing that we literally did in an institution, and to this day what we started still exists. So that was a real spiritual change for me…. Continue reading at The Revealer…. Laura McTighe is a Ph.D. Candidate in the Department of Religion at Columbia University. Through her dissertation project, “Born In Flames,” she is working with leading Black feminist organizations in Louisiana to explore how reckoning with the richness of southern Black women’s intellectual and organizing traditions will help us to understand (and do) American religious history differently. Laura comes to her doctoral studies through more than seventeen years of direct work to challenge the punitive climate of criminalization in the United States and support communities’ everyday practices of transformation. Currently, she serves on the boards of Women With A Vision, Inc. in New Orleans, Men & Women In Prison Ministries in Chicago and Reconstruction Inc. in Philadelphia. Laura’s writings have been published in Beyond Walls and Cages: Bridging Immigrant Justice and Anti-Prison Organizing in the United States (2012), the International Journal for Law and Psychiatry (2011), Islam and AIDS: Between Scorn, Pity and Justice (2009), and a variety of community publications.